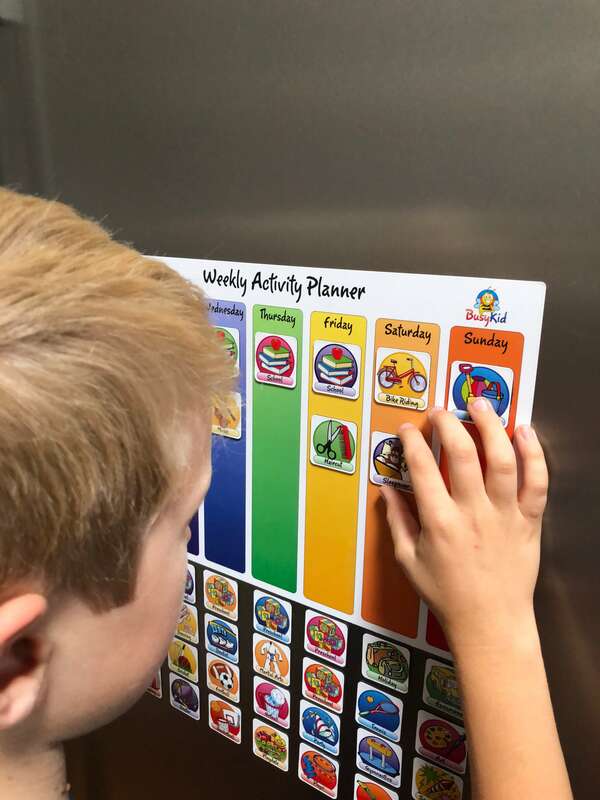 Busy Kid Magnetic Planners are designed and manufactured in Australia. They follow strict Australian standards for safety and quality. Our products feature smooth round edges and adhere to recommended sizing for magnetised children’s products. Each planner is specifically designed for young children aged 3-12 years of age. Busy Kid planners encourage children to play an active role in everything they do. They help children connect days and actions and build good daily habits of organisation. Perfect for early readers and children that benefit from simple visual aids and schedules.